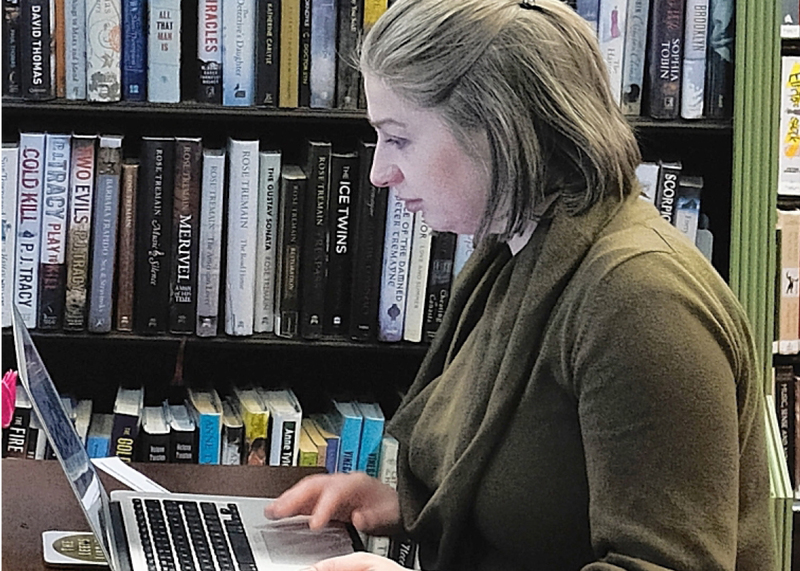 Why we must not close the book on the written word Liz Leyshon, the Liberal Democrat county councillor for Glastonbury and Street, discusses the importance of fighting for the future of the county’s libraries. H e re ’s a Somerset quiz question for the future. What did a Quaker hot bed of Victorian education have in common with a village that was once home to one of the Romantic poets? Future generations of Somerset residents may have to answer that both places, Street and Nether Stowey, lost their stock of the written word in the 2018 ‘re d e s i g n’ of the county’s library service. Cultural legacy is something that seems so obvious when we look back. Yet in the present day it’s so easy to take the wrong turning, to forget what will matter to the human beings that come after us, to take our eye off the heritage of our county when considering the targets for cost-cutting exercises. We know that over 100 years ago women started on the long haul to something like equality and they did that through education, by learning and then teaching o t h e r s.
The first thing they learned was to read and write, to put a pen or pencil on to paper and make marks that brought out meaning to them and to others. Then, to pass their knowledge on their sisters, they first had to pass on that ability to read the marks and to write what they felt and imagined and learned from others. That’s how it works. It’s a cyclical thing, one of the joys of human life. Unless you are less fortunate in your life and you don’t meet the person who can inspire you to read others’ words and to write your own. Or you live in a family home that doesn’t have books with the written word as an everyday item. Where the cereal packet is not an opportunity to read more at the breakfast table, where journalism is not valued as the way to learn about the wider world, where a good book is not the last thing you see at night. The much-loved library can fill the gaps, the gaps where books and papers and now DVDs and computers are not the home-fellows that young people, and older people, need to make their lives more interesting, to provide that model for learning. But the library needs to be within reach, not something that only others can access. It needs to be there, where you live, with an open door, a welcome, a warm environment where literacy skills are not something that Ofsted has as targets. It’s the home of words, of language, of free access to education. That’s how it should be. If you wish to blight a young p e r s o n’s life, if you wish to prevent a young woman taking her opportunities, if you wish to shackle an older person to a lifetime of embarrassment because they cannot read the piece of paper that is in their hand, you do it by depriving them of education. So these libraries, how can they survive? They are going to need imaginative, driven people to direct their futures – the very people who have gained so much from their own experience with words and (mostly) free education. Have we really changed as human beings in the last few hundred years? When things get tough, we still gain comfort from the same things as our foremothers and fathers. We still tell stories, we still chat and drink warm concoctions from glasses and cups. We dig the earth and sow the seeds that will bring delight and colour in the summer. We still put food in a pan, place it on the fire and make something that brings people together round a table in the most basic form of nurturing. None of those things has changed, the only thing that changes is the environment in which we spend our years, our decades, our lives. We have better healthcare, better dentists. We now have deodorants for when we work hard and sweat. The light comes on when we flick the switch. The water, fit to drink, comes out of the tap when we turn it on. We flush the loo and it goes away. We are fortunate, indeed we are often very fortunate. In order to make all those improvements to our lives, people had to be able to read and write. Instructions. Warnings. Guides. We need to ensure that the next generations have the same opportunities; we owe it to them as we sit back with a good book and a cup of tea or glass of something chilled. We cannot let them down. The libraries are essentials, not luxuries. We must work hard to ensure they are still here, in the villages that house poets and in the towns that house teachers. They will not forgive us if we fail, we must not close the book on the written word. Liz Leyshon is a Liberal Democrat County Councillor for Glastonbury and Street and the former manager of Strode Theatre. This article first appeared in the Western Daily Press newspaper.